Several weeks ago, I received a long-awaited present to myself: Rob Morris’ The Poetry of Freemasonry, published in 1884 (for those of you who don’t know, I’m an avid collector of antique Masonic books). As I leafed through the pages in hopes of finding a good patriotic poem to read as part of this week’s Americana-themed episode of The Masonic Roundtable, I was caught by surprise when I found a Confederate twenty-dollar bill (printed in 1864) between the pages. On a whim, I took it down to a collectibles shop to verify the bill’s validity as counterfeits abound on today’s market. The shopkeeper, a large, loud, elderly gentleman, verified that the bill was indeed real, but quickly turned his undivided attention to my book inquired why I would purchase—much less own—such a thing. I told him that I was a Freemason who collected antique books on the subject. He quickly interjected: “So, do you have any of those antique Masonic books that tell you that Masonry was actually a CULT when it was first founded?! ?” Partially out of shock, and partially out of pragmatism, I concluded that there was no point in arguing with him, and threw up my hands dismissively. He pointed an index finger squarely at my chest and said “Ah ha! Didn’t think about that, did you?” I thanked him for his time and walked out of the store. I won’t be returning. I wish I could say that events like this are isolated and/or few and far between. But they are not. Several weeks ago on Reddit.com, a gentleman started a thread asking about whether or not Freemasonry conflicts with Christianity. While he received a lot of good advice from Christian brethren at the outset, a number of Christians swarmed the thread slinging the usual diatribe: “I have no experience with Masonry, but I know they worship Satan!” etc. Over the course of my three years as a member of the Masonic fraternity, I have read a multitude of similarly barbed comments damning any and every Christian who is openly a part of this organization. It’s a real shame. The purpose of this article is to not only attempt to explain the relationship between Freemasonry, philosophy, and religion in easily understandable terms, but also break down—based on my experiences—my understanding as to why Freemasonry is so unfavorably regarded in some religious circles. My personal comprehension of Freemasonry can be summed up thusly: Freemasonry is a fraternal organization to which strong philosophical and moral elements have been attached. But it is not a religion if for no other reason than the simple fact that it prescribes no religious dogma. There’s nothing hidden in the rites and rituals of this fraternity that tells you where to go to find religious and spiritual fulfillment. Masons are not told who to worship, how to worship, or even where to worship. Instead, the moral and philosophical elements of the fraternity are designed to assist brethren in strengthening their own respective faiths, whatever they may be. To me, the moral allegories taught through explanations of stone-masons’ working tools serve as a daily reminder to emulate love, compassion, and trust to my fellow human beings—something repeatedly exhorted by Jesus during his ministry on Earth. My close friend, brother, and fellow Methodist Jon Ruark said it best: “Masonry directly enhances my Christian faith.” I fail to see how spending time with men of high moral caliber, and participating in rites that—for the most part—take their inspiration directly from the Old Testament could do anything except help a man grow in his own respective faith (especially true if he is a member of one of the three “religions of the book”—Judaism, Christianity, and Islam—which draw heavily from various parts of the Old Testament). If Masonry is an aid to a man’s moral compass and faith, then why is it often the subject of hatred and consternation in religious circles? Based on my experience with religious anti-Masonry, I propose the following as three reasons. First, freemasonry is complicated. Masons don’t know when or how it emerged, though a myriad of theories have been developed to answer those questions. It is even difficult to boil down the basic structure of the fraternity into something vaguely comprehensible to a person of casual interest. When such persons ask seemingly simple questions (e.g. “Is Freemasonry a religion?”), they can often be turned off by the philosophical, caveated, seemingly convoluted, and varied responses they might receive. Case in point: A favorite response by Freemasons to the question: “Is Freemasonry a religion?” is “Freemasonry isn’t a religion……but it IS religious.” There are few explanations of Masonry that drive me crazier than that one, because it makes absolutely no sense to the casual questioner. 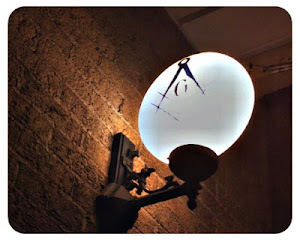 In fact, the overall lack of simple language concerning Freemasonry is precisely the reason why I started my blog The 2-Foot Ruler: Masonry in Plain Language. This so-called “lack of plain language” on the part of well-intentioned Masons makes them appear cagey and insincere to those casual questioners with short attention spans. 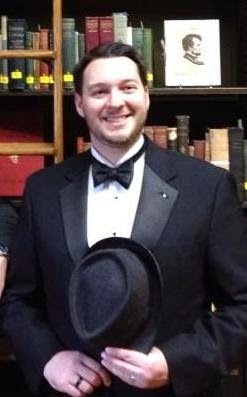 Much of the religious opposition to Freemasonry that I have observed has come directly from men and women who simply find it more convenient to denounce Masonry as a false religion/cult/bunch of Satanists than to conduct a full analysis of the complexities of Freemasonry and the philosophical elements contained within the symbolism of the fraternity. Second, Masonry’s ecumenism—tolerance for men of all faiths, within certain parameters—seems to attract a great deal of religious criticism. Masonic ritual does not encourage one religion over another. All Masons are encouraged to seek out their own spirituality and religious faith. For me, that faith is Christianity. For others, it might be Judaism or one of a myriad of other religions or walks of life. Personally, the fact that Freemasonry fails to promote Christianity over other religions or walks of life bothers me very little as secular fraternal organizations are in great supply all over the world. Some religious anti-Masons misconstrue this ecumenism as the promotion of Deist dogma. There is a clear difference, however, between a fraternity that brings men of different faiths together to encourage them to live out those disparate faiths as best they can, and a religious organization that teaches men to worship a faceless, nameless Deity. Again, Masonry prescribes no religious dogma and the men in this fraternity are encouraged to utilize the moral lessons taught in the degrees to enhance their own particular faiths. Third, much like Freemasonry’s tolerance of religious preference, its “tolerance” of each brother’s interpretation of symbolism and his search for “truth” can be upsetting to religious circles. As a result of Masonry’s encouragement of each brother to seek out “truth” for himself, it could appear to outsiders that Masonry actively discourages moral and religious absolutes. But determining, encouraging, and/or discouraging moral/religious absolutism is the job of a religion, and not a fraternal organization. As Masonry, once again, prescribes no dogma (Are you seeing a trend yet? )—and goes as far to forbid talk of religion in lodge—how can it inherently encourage or discourage religious absolutism? The fact that Masonry, in and of itself, leaves interpretation of “truth” and other Masonic symbolism open to each individual brother can also lead to allegations Masonry encourages research on the occult. I know several Masons who delve into occult philosophy and ancient religions in their personal interpretation of Masonic symbolism. As we’ve discussed on The Masonic Roundtable, philosophy is a pillar of Masonic research and—as I have mentioned more times than I can count—I will take empirical historic research over esoteric philosophical research any day. Yes, much of the Masonic ritual and symbolism is rooted in Enlightenment philosophy, but just as much of it comes directly from the Bible. It’s up to the individual Mason to decide what he wants to research, and what correlations can draw between his research and Masonic symbolism, keeping in mind that correlations do not inherently equal causal linkages. I haven’t covered nearly all of the arguments that religious anti-Masons have levied against the Masonic fraternity. Instead, what I have attempted to do here is to distill the arguments that have personally observed into broad, easily understandable trends. The first trend in religious opposition to Freemasonry arises from the unfortunate fact that some curious and/or skeptical men and women simply cannot get a straight answer to their questions due to the inherent complexity of the fraternity. Instead, Ockham’s razor may lead the casual questioner to ascribe to other seemingly simplistic, unfavorable accounts of the fraternity—a favorite one used by anti-Masons being that of Leo Taxil’s discredited and disavowed writings stating that Masons worship Lucifer. The second trend present in religious anti-Masonry today is opposition to Freemasonry’s inherent ecumenism. 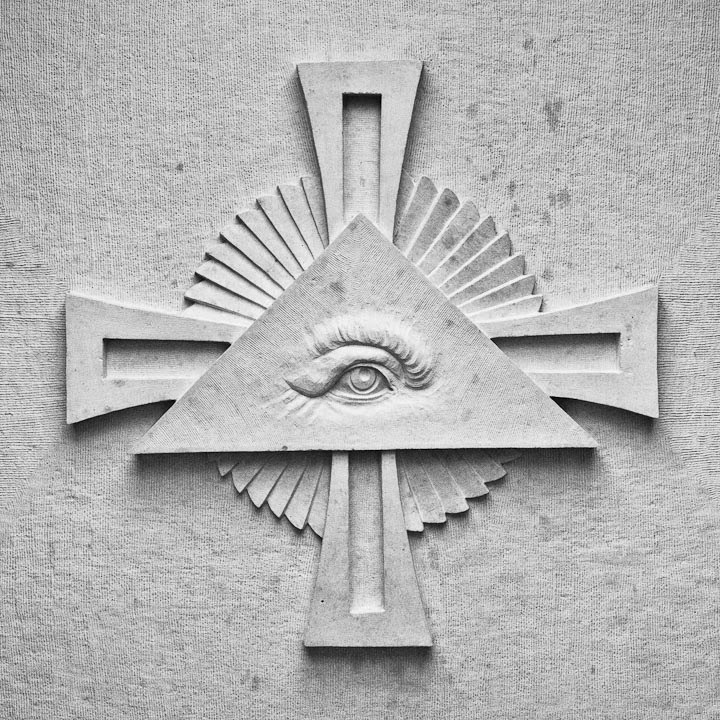 This opposition may lead religious anti-Masons to insist that Freemasonry encourages Deism, when in fact, Freemasonry neither encourages any particular religion nor prescribes religious dogma. It is the duty of every single Mason to decide his spiritual fulfillment and religious path for himself. The third trend present in the arguments of religious anti-Masons falls along the same lines as the second. Freemasonry’s insistence that the individual brother seek out “truth” and the meaning behind Masonic symbolism for himself has led to allegations that the fraternity discourages religious absolutism and encourages occultism when, in fact, the ritual inherently does neither. Personally, I pride myself on my tolerance of other world views and my membership in various organizations that promote the same. I hold very staunch views on my particular religious faith, and it is both my right and prerogative to hold them; but I refuse to allow my views to infringe upon the right of other human beings to make up their own minds about the world around them, so long as they treat me with the same courtesy. If you are someone who cannot extend that same courtesy to your fellow human beings, then Freemasonry is not for you, and I’m glad that you have chosen not to take part in it. In my 40 years of membership in our great craft I have never witnessed an example of proselytization within the lodge room. I believe this is due to Masonry's belief in the importance of maintaining a free and open environment wherein brothers may search, on the level, for further light. Our craft supports the seekers of light - not those who believe they have exclusive claims to light as they define it. Well said. I am waiting to get scheduled for my EA and so far everyone I have shared my plans to become a Mason with, have had positive responses. However, I am aware of the existence of these people who, in their ignorance, fear Freemasonry. Freemasonry not only has an open Bible on its altar, but eight prayers and three lessons are given during the Ritual. But more than this there are seven hidden references to the Christian tragedy in the Ritual. I have made a video about this on my YouTube channel called "Spiritual Freemasonry." I hope it puts an end to the "Freemasonry isn't Christian" debate for once and for all.